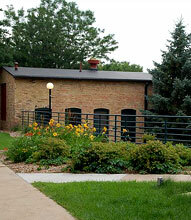 Built in 1880, the foundry shop served its original purpose for the C.A. Lawton Co. until 1971. During the 1980s, the city of DePere slated the downtown area, including the foundry, for redevelopment and revitalization. 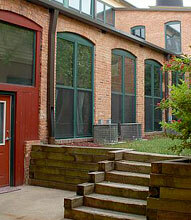 According to the Wisconsin Main Street Program–a statewide effort to promote historic preservation–a small work force from Lawton remained downtown, using the foundry as office space until it closed up shop for good in 1990. Years later, the abandoned Lawton site attracted a slew of developers, but most had plans to demolish the deteriorating structure and hammer out a new building. Eventually, the structure was slated for the wrecking ball several times. Enter the Alexander Co. After being spared from destruction, the Lawton Foundry buildings were renovated into 70 one- and two-bedroom flat-style apartments and town homes, ranging in size from 574 square feet to more than 1,820 square feet. Each residence has its own unique floor plan. 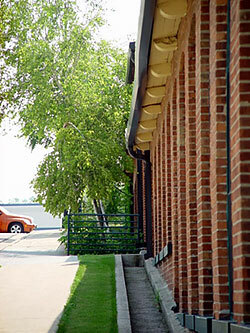 The Alexander Co. preserved much of the structure's historical flair, including the building's brick exteriors and interiors. In fact, the front of the building still features the original Lawton Foundry sign and façade. The structure–which reopened for residential use in 1993–is listed on the state and National Register of Historic Places. No Dogs Allowed. Up to 2 cats permitted, requires a $125.00 refundable deposit and $20.00 per month additional charge.